The Isle of Eigg is situated off the West Coast of Scotland, and is reached by ferry from the mainland. For the island community of about a hundred residents, it has always been expensive to import products, materials and skilled labour from the mainland, and this has encouraged a culture of self-sufficiency and careful use of resources. Today, although the island now has most modern conveniences, CO2 emissions per household are 20 percent lower than the UK average, and electricity use is 50 percent lower. When Eigg designed its electricity grid, which was switched on in February 2008, it quickly became apparent that in order to keep the capital building costs down, it would be necessary to manage demand. This would also allow the island to generate most of its electricity from renewable sources, mainly water, wind and solar power. This goal was overseen by the Eigg Heritage Trust (EHT). Eigg manages electricity demand mainly by capping the instantaneous power that can be used to five kilowatts (kW) for a household and ten kW for a business. If usage goes over the limit, the electricity supply is cut off and the maintenance team must be called to come and switch it back on again. All households and businesses have energy monitors, which display current and cumulative electricity usage, and sound an alarm when consumption reaches a user-defined level, usually set a few hundred watts below the actual limit. The result is that Eigg residents have a keen sense of how much power different electrical appliances use, and are careful to minimise energy consumption. Demand is also managed by warning the entire island when renewable energy generation is lower than demand, and diesel generators are operating to back it up - a so-called ‘red light day’, as opposed to ‘green light days’ when there is sufficient renewable energy. Residents then take steps to temporarily reduce electricity demand further still, or postpone demand until renewable energy generation has increased. Energy use on the island has also been reduced through improved wall and loft insulation in homes, new boilers, solar water heating, car­sharing and various small, energy-saving measures in households. New energy supplies are being developed, including sustainably harvested forests to supply wood for heating. Eigg Heritage Trust has installed insulation in all of its own properties at no cost to the tenants, while private properties have paid for their own insulation to be installed. The same applies for installations of solar water heating, although not all Trust properties have received this as yet. The Trust also operates a Green Grants scheme, where residents can claim 50 percent of the cost of equipment to reduce carbon emissions, up to a limit of £300. Purchases included bikes, solar water heating, secondary glazing, thicker curtains, and greenhouses to grow food locally, rather than importing it. Prior to the installation of the new electricity grid and renewable energy generation, most households on Eigg used-diesel generators to supply electricity, resulting in significant carbon emissions. Homes were also poorly insulated and had old, inefficient oil-burning boilers, or used coal for heating. 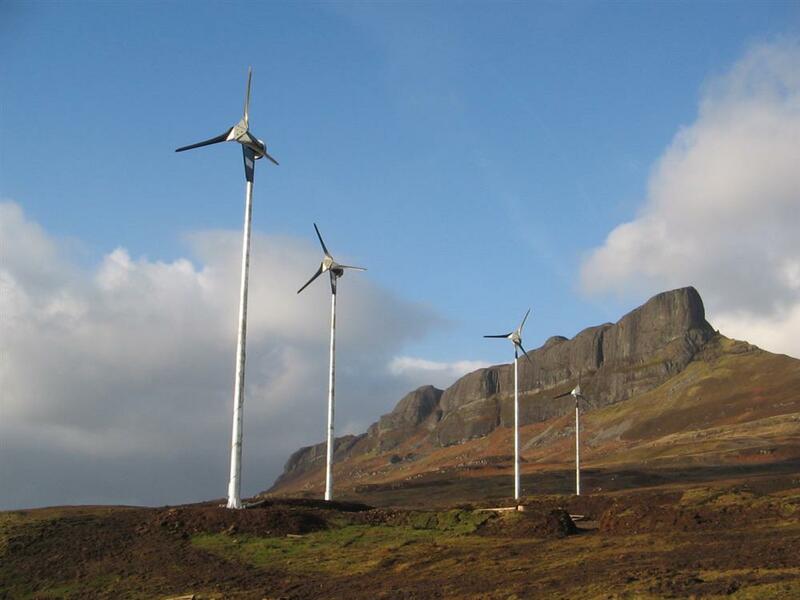 The work by the Eigg Heritage Trust to reduce energy use has resulted in significant reductions in carbon emissions from the island’s households and businesses. The average annual electricity use per household is just 2,160 kilowatt hours (kWh), compared to a UK average in 2008 of 4,198 kWh. Domestic carbon emissions have fallen by 47 percent, from 8.4 to 4.45 tonnes per year. This compares to average UK household emissions of 5.5 to 6 tonnes per year. The emissions should fall even further over the next few years as the supply of wood for heating increases. The completion of Eigg’s electricity grid has made a significant difference to the island’s residents, freeing them from dependence on diesel generators and providing them with a stable and affordable power supply. A reliable electricity supply has brought improvements in other areas, for example, better treatment of drinking water in some houses, and the elimination of the constant noise of diesel generators. Improved home insulation and heating has also yielded benefits, making it more affordable to keep homes at a comfortable temperature. One of the incentives for capping electricity use, rather than charging different amounts according to usage, was to make access to energy equitable. Every household has the same five kW cap, irrespective of income, so distributing the available resources equally across the island’s population. Eigg’s electricity grid supports four part-time maintenance jobs on the island, and residents have also been employed for building work to improve Trust-owned houses and other buildings. Likewise, the start of organised harvesting of wood for heating has created several forestry jobs for residents. A part-time ‘green project manager’ post has also been created. A wider economic impact has come from having a reliable and affordable electricity supply, which has enabled several new businesses to start up, including restaurants, shops, guest houses and self-catering accommodation. As Eigg has become known for cutting carbon emissions and protecting the environment, an increasing number of visitors have come to the island to learn about its work, bringing a further economic benefit to the residents. Many studies of the brain processes underlying the creation of memory consolidation (lasting memories) have involved giving various human and animal subjects treatment, while training them to perform a task. These have contributed greatly to our understanding. In pioneering studies using goldfish, Bernard Agranoff found that protein synthesis inhibitors injected after training caused the goldfish to forget what they had learned. In other experiments, he administered protein synthesis inhibitors immediately before the fish were trained. The remarkable finding was that the fish learned the task completely normally, but forgot it within a few hours - that is, the protein synthesis inhibitors blocked memory consolidation, but did not influence short-term memory. There is now extensive evidence that short-term memory is spared by many kinds of treatments, including electro-convulsive therapy (ECT), that block memory consolidation. On the other hand, and equally importantly, neuroscientist Ivan Izquierdo found that many drug treatments can block short-term memory without blocking memory consolidation. Contrary to the hypothesis put forward by Canadian psychologist Donald Hebb, in 1949, long-term memory does not require short-term memory, and vice versa. Such findings suggest that our experiences create parallel, and possibly independent stages of memory, .each with a different life span. All of this evidence from clinical and experimental studies strongly indicates that the brain handles recent and remote memory in different ways; but why does it do that? We obviously need to have memory that is created rapidly: reacting to an ever and rapidly changing environment requires that. For example, most current building codes require that the heights of all steps in a staircase be equal. After taking a couple of steps, up or down, we implicitly remember the heights of the steps and assume that the others will be the same. If they are not the same, we are very likely to trip and fall. Lack of this kind of rapidly created implicit memory would be bad for us and for insurance companies, but perhaps good for lawyers. It would be of little value to us if we remembered the heights of the steps only after a delay of many hours, when the memory becomes consolidated. The hypothesis that lasting memory consolidates slowly over time is supported primarily by clinical and experimental evidence that the formation of long-term memory is influenced by treatments and disorders affecting brain functioning. There are also other kinds of evidence indicating more directly that the memories consolidate over time after learning. Avi Kami and Dov Sagi reported that the performance of human subjects trained in a visual skill did not improve until eight hours after the training was completed, and that improvement was even greater the following day. Furthermore, the skill was retained for several years. Studies using human brain imaging to study changes in neural activity induced by learning have also reported that the changes continue to develop for hours after learning. In an innovative study using functional imaging of the brain, Reza Shadmehr and Henry Holcomb examined brain activity in several brain regions shortly after human subjects were trained in a motor learning task requiring arm and hand movements. They found that while the performance of the subjects remained stable for several hours after completion of the training, their brain activity did not; different regions of the brain were predominantly active at different times over a period of several hours after the training. The activity shifted from the prefrontal cortex to two areas known to be involved in controlling movements, the motor cortex and cerebellar cortex. Consolidation of the motor skill appeared to involve activation of different neural systems that increased the stability of the brain processes underlying the skill. There is also evidence that learning-induced changes in the activity of neurons in the cerebral cortex continue to increase for many days after the training. In an extensive series of studies using rats with electrodes implanted in the auditory cortex, Norman Weinberger reported that, after a tone of specific frequency was paired a few times with footshock, neurons in the rats’ auditory cortex responded more to that specific tone and less to other tones of other frequencies. Even more interestingly, the selectivity of the neurons’ response to the specific tone used in training continued to increase for several days after the training was terminated. It is not intuitively obvious why our lasting memories consolidate slowly. Certainly, one can wonder why we have a form of memory that we have to rely on for many hours, days or a lifetime, that is so susceptible to disruption shortly after it is initiated. Perhaps the brain system that consolidates long-term memory over time was a late development in vertebrate evolution. Moreover, maybe we consolidate memories slowly because our mammalian brains are large and enormously complex. We can readily reject these ideas. All species of animals studied to date have both short and long-term memory; and all are susceptible to retrograde amnesia. Like humans, birds, bees, and molluscs, as well as fish and rats, make long-term memory slowly. Consolidation of memory clearly emerged early in evolution, and was conserved. Although there seems to be no compelling reason to conclude that a biological system such as a brain could not quickly make a lasting memory, the fact is that animal brains do not. 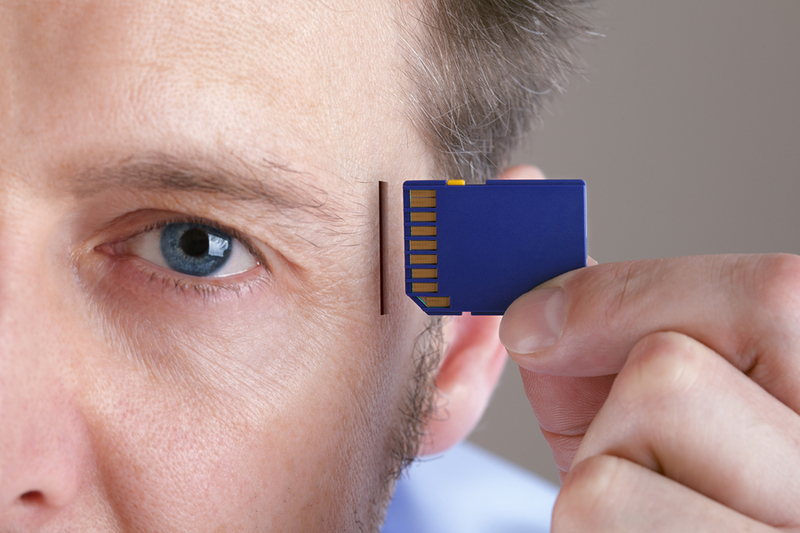 Thus, memory consolidation must serve some very important adaptive function or functions. There is considerable evidence suggesting that the slow consolidation is adaptive because it enables neurobiological processes occurring shortly after learning to influence the strength of memory for experiences. The extensive evidence that memory can be enhanced, as well as impaired, by treatments administered shortly after training, provides intriguing support for this hypothesis. Approximately how many people live on Eigg? What proportion of a UK household’s electricity consumption does an Eigg household consume? Apart from wind and sun, where does most of Eigg’s electricity come from? What device measures the amount of electricity Eigg’s households are using? When renewable energy supplies are insufficient, what backs them up? What has EHT provided free of charge in all the houses it owns? Which gardening aid did some Eigg inhabitants claim grants for? 8 TRUEFALSENOT GIVEN Electricity was available for the first time on Eigg when a new grid was switched on. 9 TRUEFALSENOT GIVEN Eigg’s carbon emissions are now much lower than before. 10 TRUEFALSENOT GIVEN Wood will soon be the main source of heating on Eigg. 11 TRUEFALSENOT GIVEN Eigg is quieter as a result of having a new electricity supply. 12 TRUEFALSENOT GIVEN Well-off households pay higher prices for the use of extra electricity. 13 TRUEFALSENOT GIVEN The new electricity grid has created additional employment opportunities on Eigg. 19 ABC a surplus of goods. 20 ABC an emphasis on production quantity. 21 ABC the proximity of consumers to workplaces. 22 ABC a focus on the quality of goods. 23 ABC new products and new ways of working. 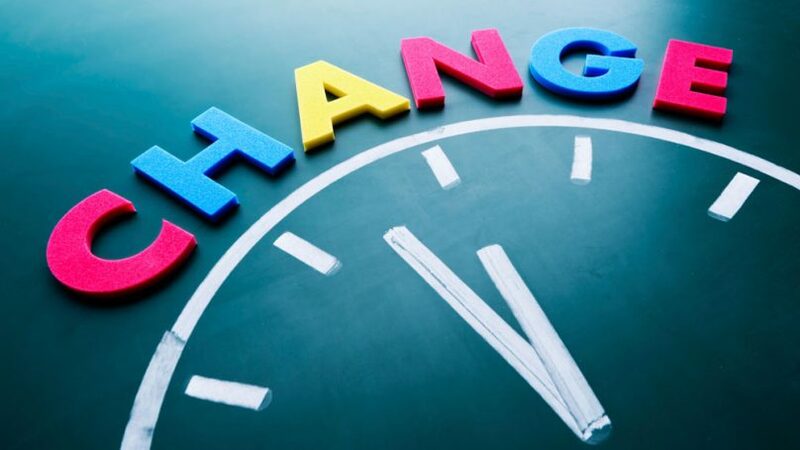 It is generally agreed that changes are taking place more quickly now, and that organisations are being transformed. One leading economist suggested that by 2020, up to a quarter of employees would be 24 and half of all employees would be based in the 25 . Although predictions can be wrong, the speed of change is not in doubt, and business leaders need to understand the 26 that will be influential. A injecting goldfish at different stages of the experiments. B training goldfish to do different types of task. C using different types of treatment on goldfish. D comparing the performance of different goldfish on certain tasks. A drug treatments do not normally affect short-term memories. B long-term memories build upon short-term memories. C short and long-term memories are formed by separate processes. D ECT treatment affects both short-and long-term memories. In the fifth paragraph, what does the writer want to show by the example of staircases? A Prompt memory formation underlies the performance of everyday tasks. B Routine tasks can be carried out unconsciously. C Physical accidents can impair the function of memory. D Complex information such as regulations cannot be retained by the memory. A cast doubt on existing hypotheses. B related only to short-term memory. C were based on tasks involving hearing. D confirmed other experimental findings. What did the experiment by Shadmehr and Holcomb show? A Different areas of the brain were activated by different tasks. B Activity in the brain gradually moved from one area to other areas. 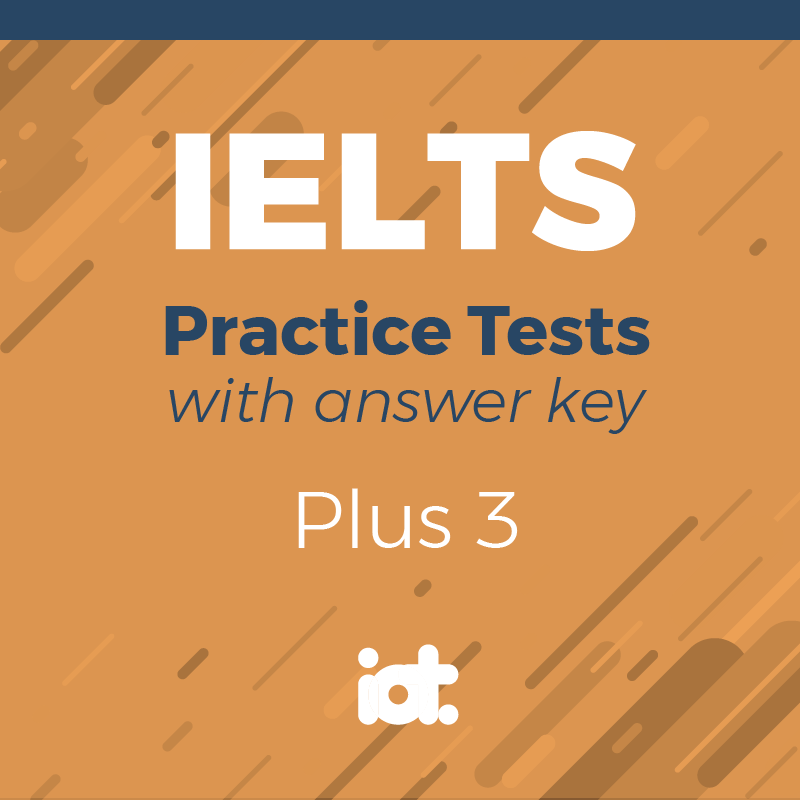 C Subjects continued to get better at a task after training had finished. D Treatment given to subjects improved their performance on a task. 32 YESNONOT GIVEN The training which Kami and Sagi’s subjects were given was repeated over several days. 33 YESNONOT GIVEN The rats in Weinberger’s studies learned to associate a certain sound with a specific experience. 34 YESNONOT GIVEN The results of Weinberger’s studies indicated that the strength of the rats’ learned associations increases with time. 35 YESNONOT GIVEN It is easy to see the evolutionary advantage of the way lasting memories in humans are created. 36 YESNONOT GIVEN Long-term memories in humans are more stable than in many other species. Various researchers have examined the way lasting memories are formed. Laboratory experiments usually involve teaching subjects to do something 37 ABCDEFGHI and treating them with mild electric shocks or drugs. Other studies monitor behaviour after a learning experience, or use sophisticated equipment to observe brain activity. The results are generally consistent: they show that lasting memories are the result of a 38 ABCDEFGHI and complex biological process. The fact that humans share this trait with other species, including animals with 39 ABCDEFGHI brains, suggests that it developed 40 ABCDEFGHI in our evolutionary history.